Elastomeric paint is an excellent exterior paint. It provides a tough and thick coating that also waterproofs most surfaces. Elastomeric coating is also resistant to heat, cold, sunlight, and rain. It can be said that it is the better exterior finish even compared to the best acrylic paint. It can be applied to stucco, masonry, concrete blocks and other surfaces and some are compatible with wood. Elastomeric exterior paint can get rid of cracks on concrete and other types of wood since elastomeric coating is very thick and flexible. Elastomeric house paint also has very good elongation characteristics which can repair most cracks on any surface. Eliminating numerous cracks on stucco can be easily done using an elastomeric stucco paint. Compared to other paints which need multiple coats to cover, two coats of elastomeric paint over a good primer is sufficient and the cracks will be fixed which water will not be able to penetrate. 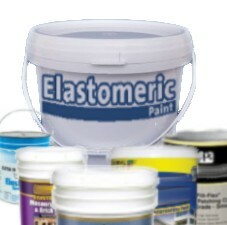 Elastomeric paints can also last longer than most paints even properly applied acrylic paint. The elastomeric coatings can cost more than standard house paints per gallon but the benefits are great and far outweighs the cost. You can use a roller, brush, or airless paint sprayer to apply the elastomeric exterior paint. You will need a powerful sprayer that has an output of about 1 gal per min with a spray pump as recommended by the manufacturer. You can use water to thin the paint if necessary. Applying 2 coats is recommended to make it more durable. For better results you can use an acrylic binder along with the elastomeric paint. Most applications can benefit from a satin sheen but you can find anything from flat to gloss. The satin finish will be durable enough and not too glossy and shiny. They will appear like most quality house paint. Elastomeric coatings don't have much use inside the house. Surfaces with smooth finish will not benefit from this paint and your average quality paint will suffice. 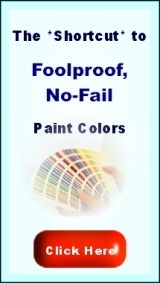 You should not apply non-elastomeric paints on top of elastomeric exterior coatings. Elastomeric coatings have more that 4 times the thickness of latex exterior paint. They have awesome flexibility that bridges and prevents cracks. Elastomeric exterior paint is waterproof and ensures that moisture is prevented from penetrating. And it can withstand wind driven rain and there's also a breathable type that let trapped moisture out without damaging the film. Premium elastomeric exterior paint also contains mildewcide that prevents mildew growth on damp areas. It's reflective white coating blocks UV rays and prevent paint degradation. Properly applied elastomeric exterior paints can last for more than 10 years or more. It's easy to clean using soap and water. There's a wide variety of colors available and most are tintable. There are also textured elastomeric paints that hides minor surface imperfections. The elastomeric finish improves aesthetics of the exterior. The main component of elastomeric coatings, elastomer, expands and contracts without breaking. It is often used in sealants and adhesives. While some brand have limited colors others can be mixed to form any color. You can find and choose from a number of elastomeric paint brands at your local paint store. Applying elastomeric paint to stucco, concrete, compatible wood types, and other masonry can result in excellent finish that you can expect to last for many years.